Pine Wolf is a sculpture by Majid Banimahd which was uploaded on January 14th, 2010. 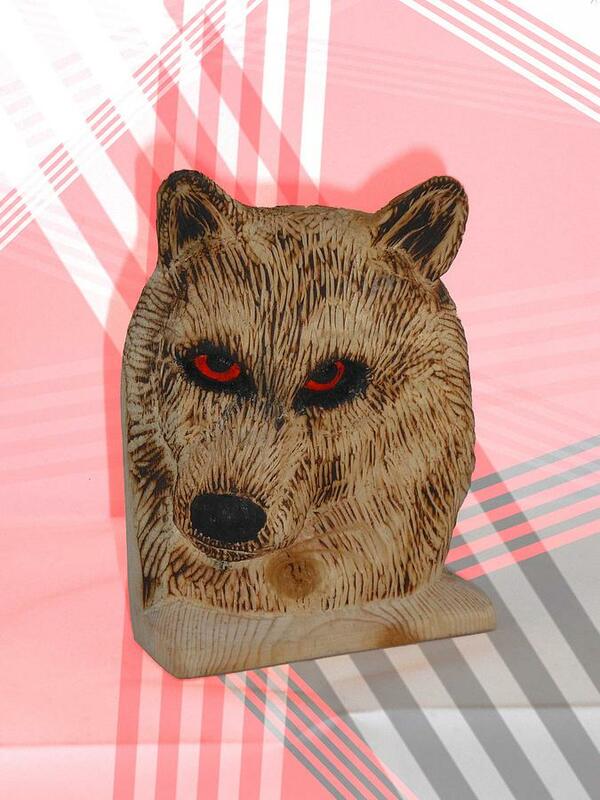 This face of wolf carved by hand on pine wood. There is no color or stain on it except eyes red, I actually know that we don't have black pine but believe me I didn't paint it. There are no comments for Pine Wolf. Click here to post the first comment.